It’s a funny feeling when you have visitors in a place in which you’re technically a visitor yourself. 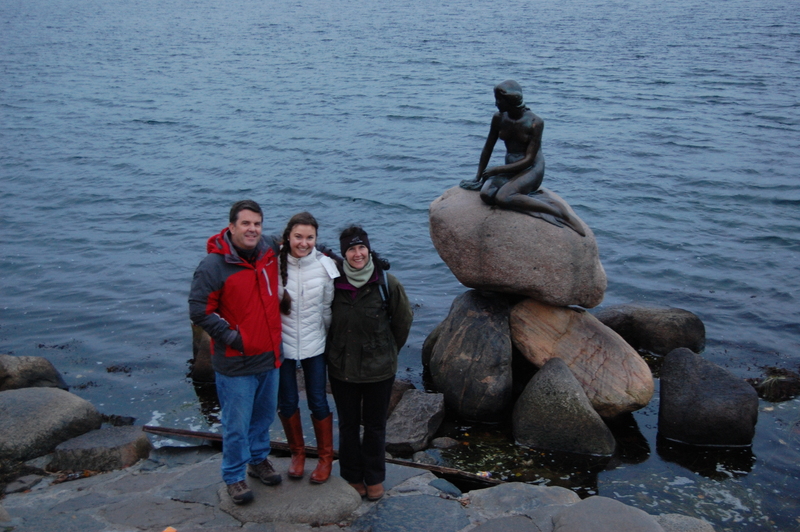 But, honestly, I felt like Copenhagen was “my city” when my parents came to visit me during my last travel break. Prior to making the tour de Copenhagen with me, they hopped around Ireland for a couple days, exploring its beautiful landscapes and ruined castles. They even had the opportunity to meet a real Irish sheep farmer and a couple “smarter than you’d expect” border collies. (As a side note: we REALLY REALLY REALLY need border collies at our farm back in Tennessee. It’s getting a little difficult rounding up those 4-legged cotton balls with a 4 wheeler…although it is rather humorous to witness.) 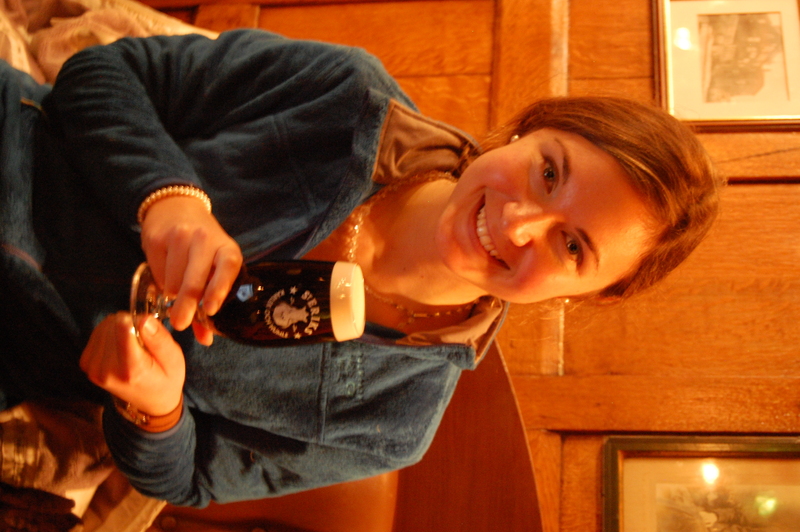 And while they enjoyed a carefree and merry time in Ireland, I spent my week cramming for three huge exams – one in Psychopharmacology, one in Human Health and Disease, and finally an oral exam in Danish. Yes, they were as difficult as you probably think, but I’m pretty confident I deserve a brownie for doing my best! In fact, my Danish host family claims that I am pretty talented in the Danish language! 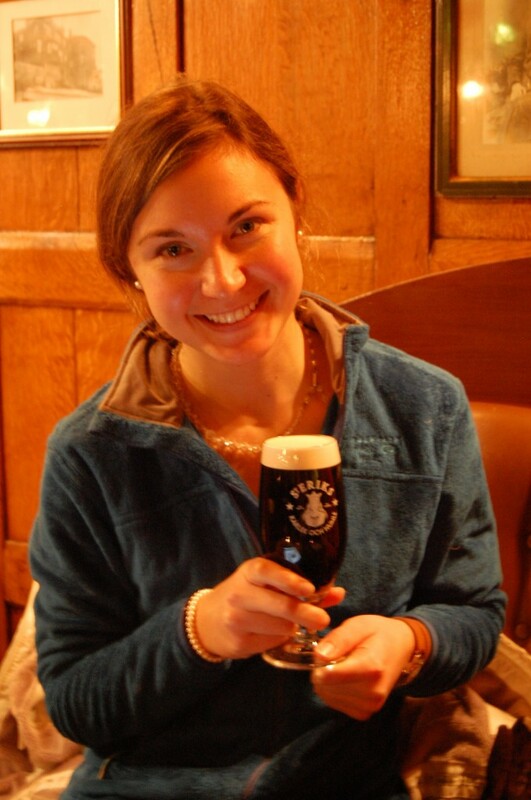 (I don’t think I’d ever admit that to myself….but hey, I’ll take the compliment!) Tak, Birgette and Jesper! Mom and Dad arrived on Saturday, November 10, and they were pleasantly welcomed by my “host” parents, Birgette and Jesper. Birgette and Jesper insisted that they stay here in the house with us, so they all spent a lot of time talking about culture, politics, and life, really getting to know each other. I think they all have a lot in common, and that was fun to see. 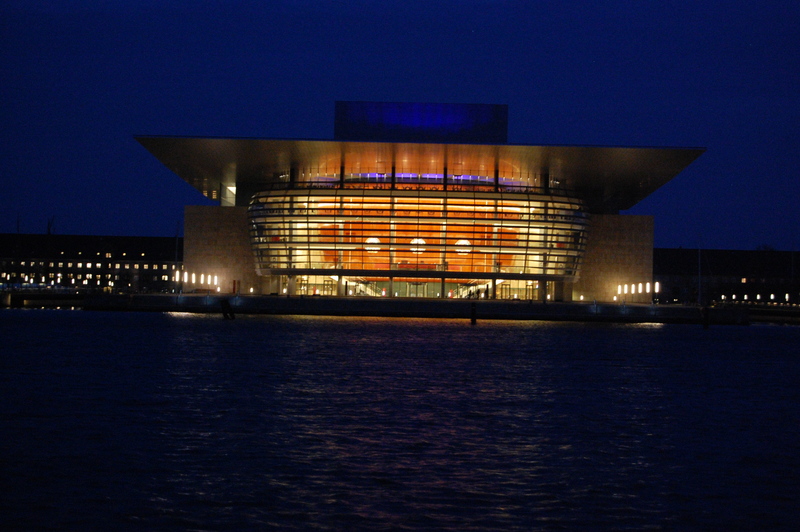 View of the Opera House as we walked to see the Royal Palace. Such a beautiful site at night! 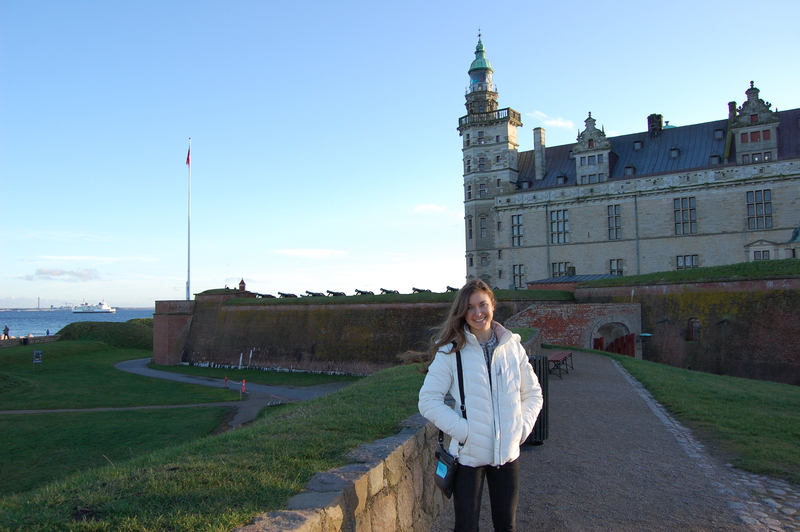 And because we love castles and history…especially combined, we traveled to Helsingør to visit the Kronborg Slots (a famous castle and fortress in Denmark). The castle was historically a fortress built by Danish King Eric in the 1420’s to help control ship traffic coming from and to the Baltic Sea. He insisted on the payment of sound dues from each ship, so the fortress itself had a reputation around Europe. King Frederick II converted the fortress to a Renaissance castle in the late 16th century. And in mid-17th century, Kind Christian IV restored much of the castle after an unfortunate and accidental fire destroyed parts of it. 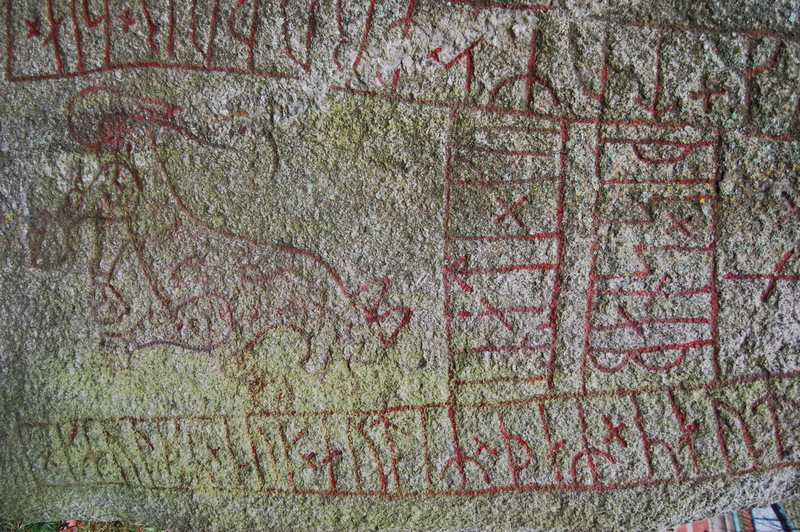 Of course, throughout the castle, there are MANY signs that King Christian IV had been there. His stamp appeared on pretty much everything. 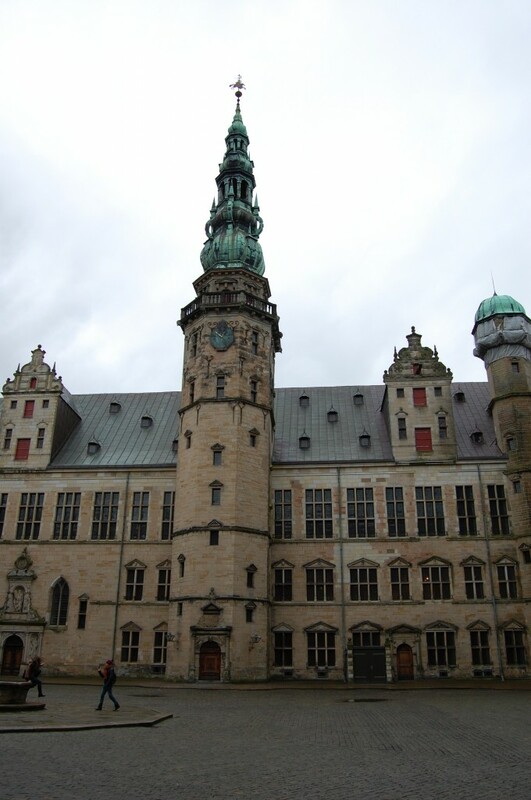 Today, Kronborg Castle is probably most well-known for its significance in William Shakespeare’s masterpiece, Hamlet. 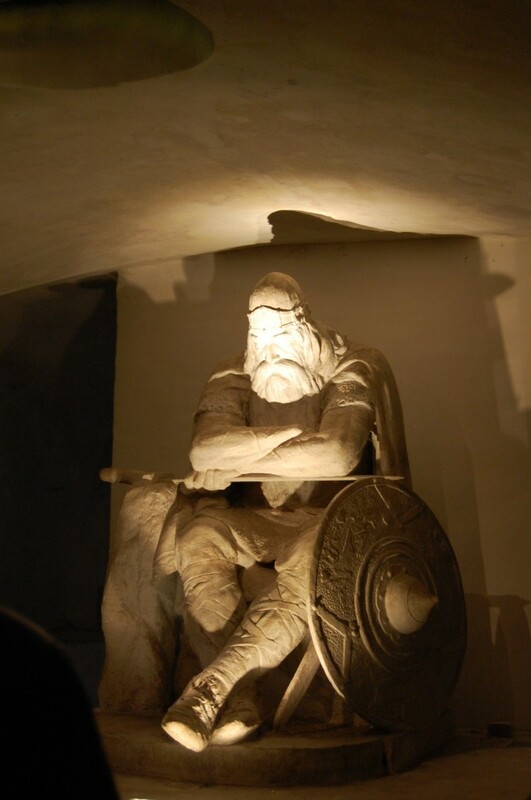 Shakespeare wrote about this Danish prince at the setting of “Elsinore”…or the “real life” Kronborg Castle. We are not sure if Shakespeare actually visited the castle himself, but it’s pretty neat that he referenced such a magnificent part of history! 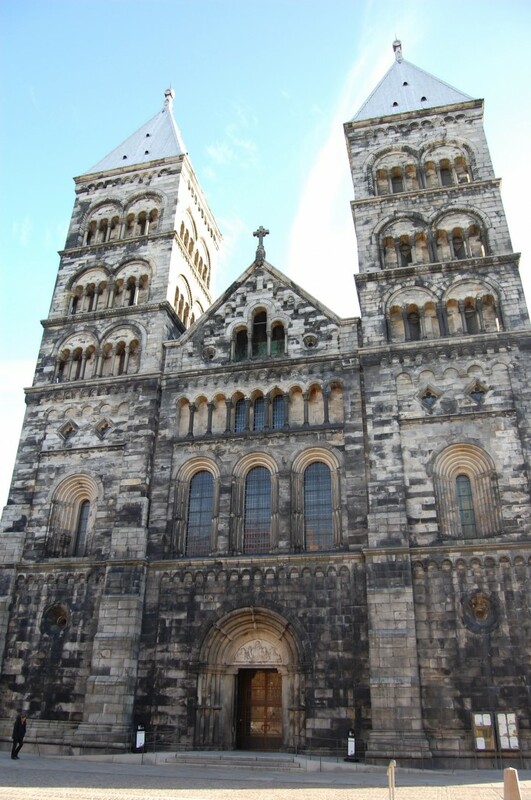 Kronborg Castle also houses Ogier the Dane. 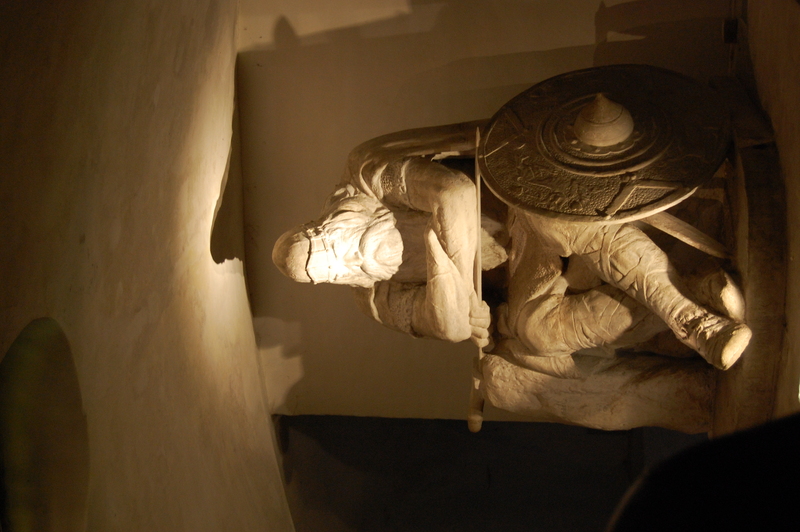 This legendary figure, “king in the mountain,” sleeps under the Kronborg castle, waking only to save his country (Denmark) from peril. 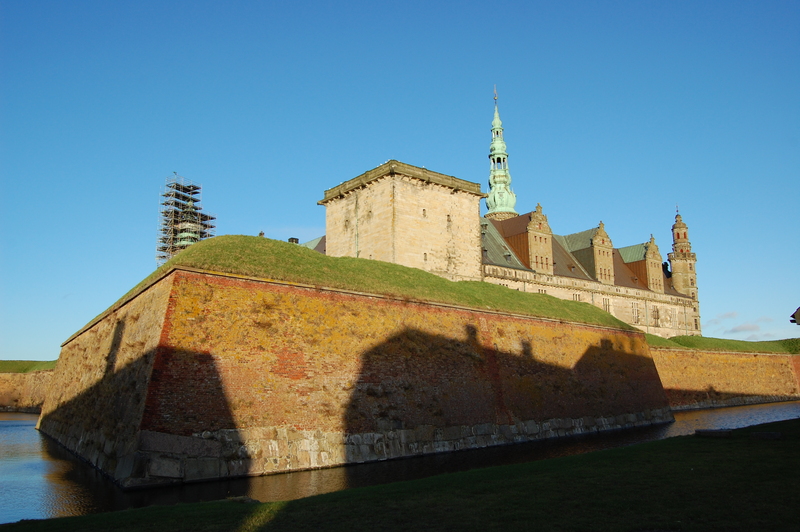 Kronborg Castle – complete with moat and everything! 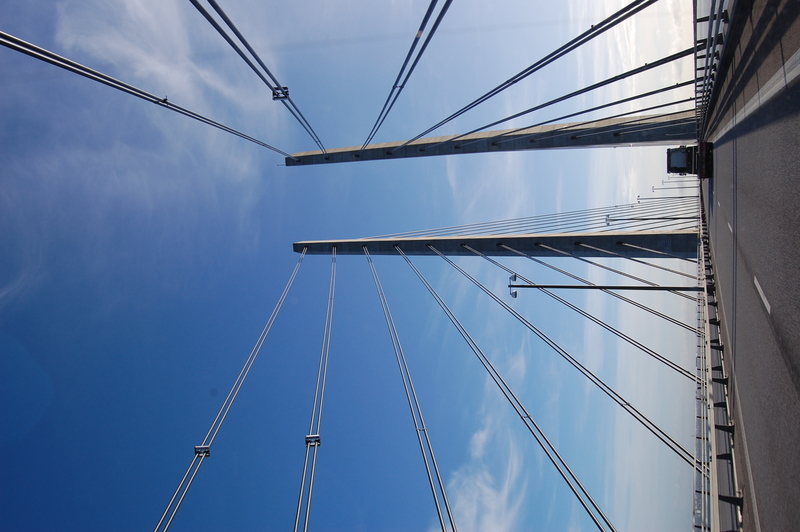 Our next destination…Sweden! Now that we learned how serious parking is taken in Scandanavia, we were prepared for another epic road trip in our little convertible FIAT 500. 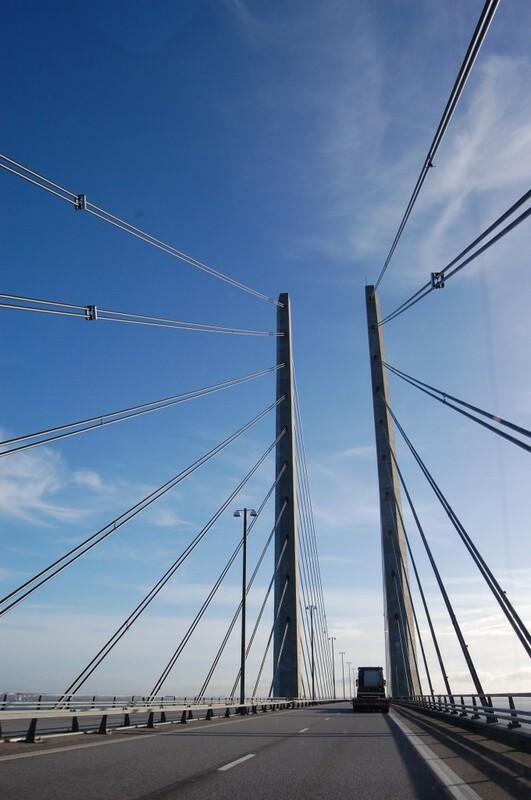 We drove across the Øresund Bridge and were in Sweden within 20 minutes. 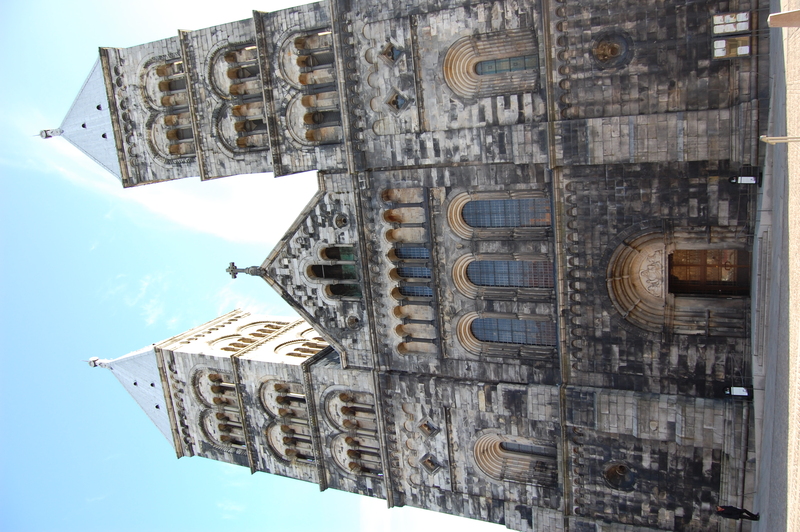 Our first stop was a small college town called Lund, which definitely ranks among my favorite towns in Sweden. 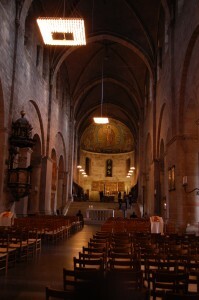 After a delicious and much needed stop for coffee and breakfast, we walked to the Lund Cathedral (Lunds domkyrka). 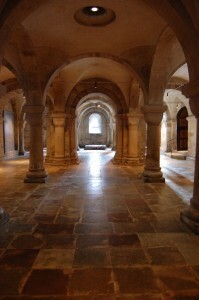 The high alter of the crypt was consecrated in 1123, and the cathedral following in 1145. 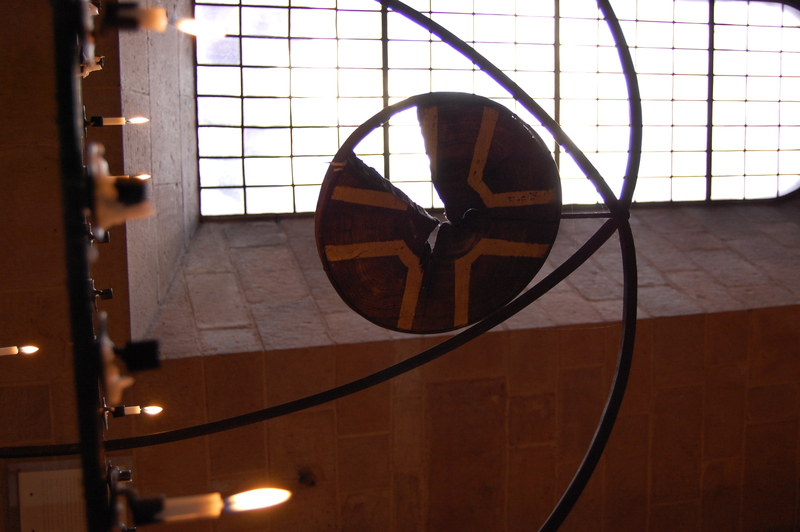 At this time, Lund was still a part of Denmark, and it served as a major religious center. 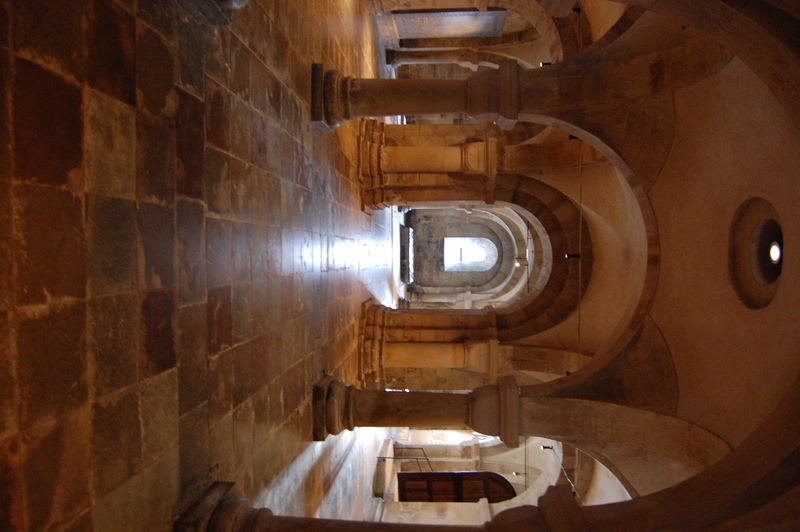 I still can’t believe how old some of these buildings are. It’s simply amazing. There’s nothing like this in the U.S.
Breakfast in Lund with the most artistic Cappuccino I’ve ever had (yes, the barista created a bear and bunnies out of the milk foam–now my bucket list includes ‘learn how to do milk foam art’) and a delicious, warm salmon and cream cheese bagel. 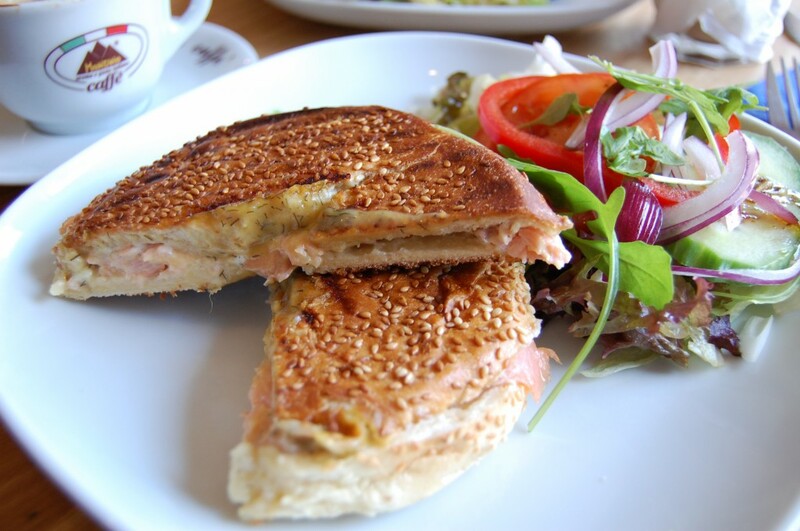 If you ever visit Lund, definitely stop by this little cafe – Coffee Break. 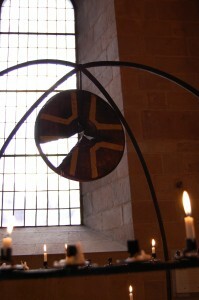 Inside the Lund Cathedral – the chapel, a cross, and the crypts. 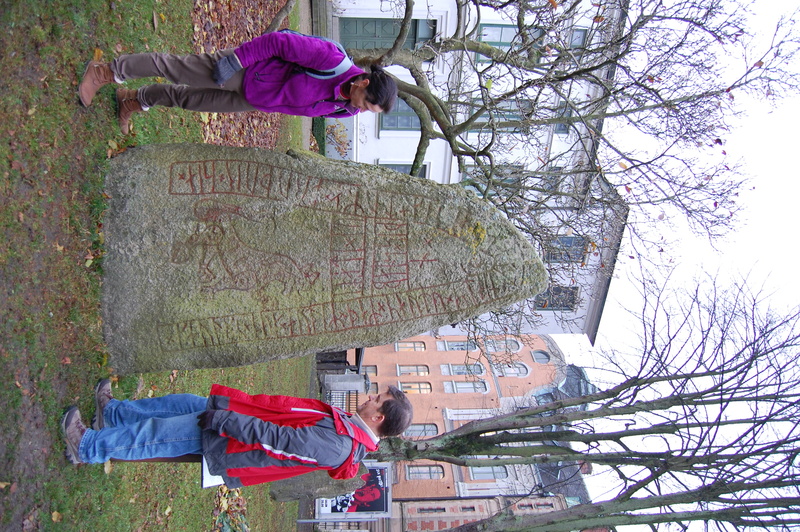 Other highlights of our Sweden excursion included: a beautiful, country road drive, my first taste of Guinness, and a quest for viking rune stones. 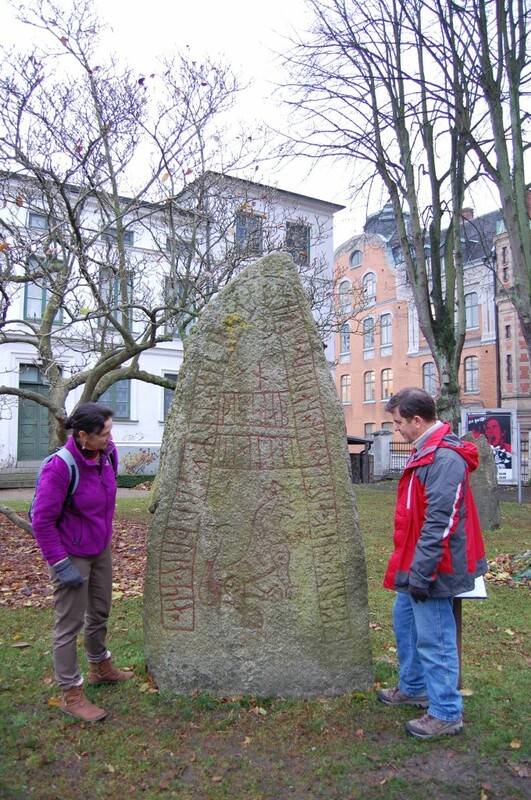 We stayed the night in Lund and searched for the viking rune stones the next morning. It was actually quite the hunt. We could have sworn they were hidden in some secret garden (how cool would that have been? 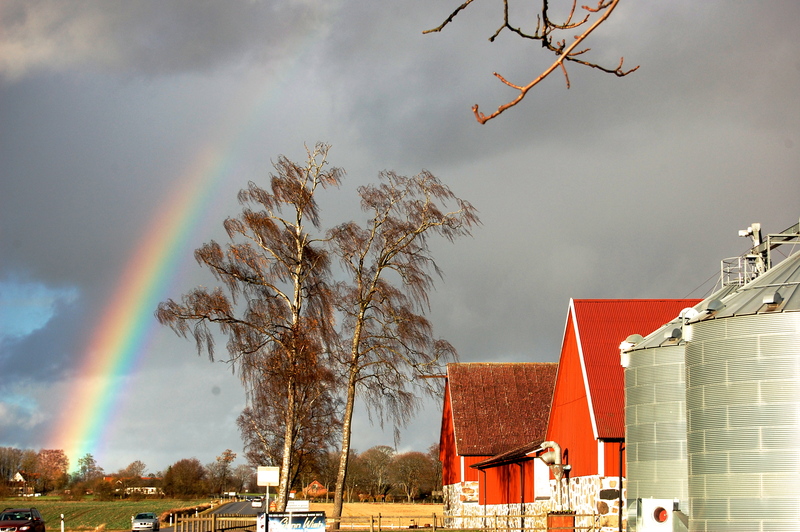 ), but they ended up being one of the most obvious exhibitions of Kulteren (an outdoor Swedish culture museum). They were still pretty fun to see, though. 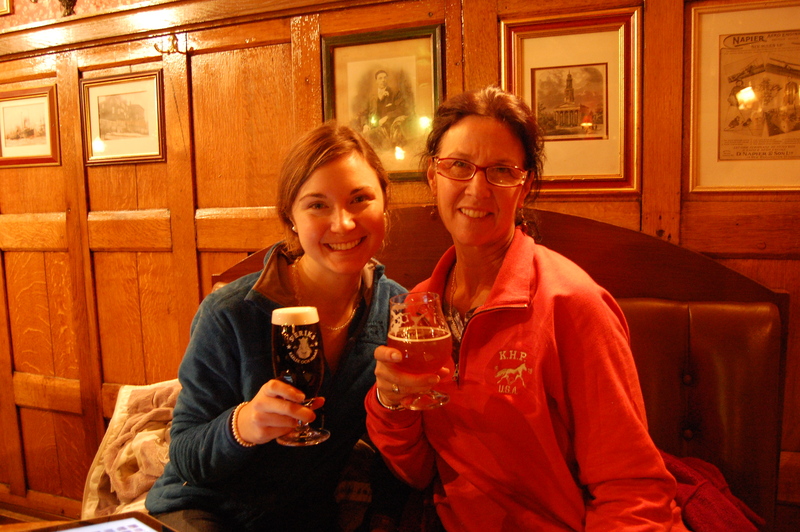 Mom and me enjoying some evening beer at The Bishop’s Arms. Ahh, there they are. 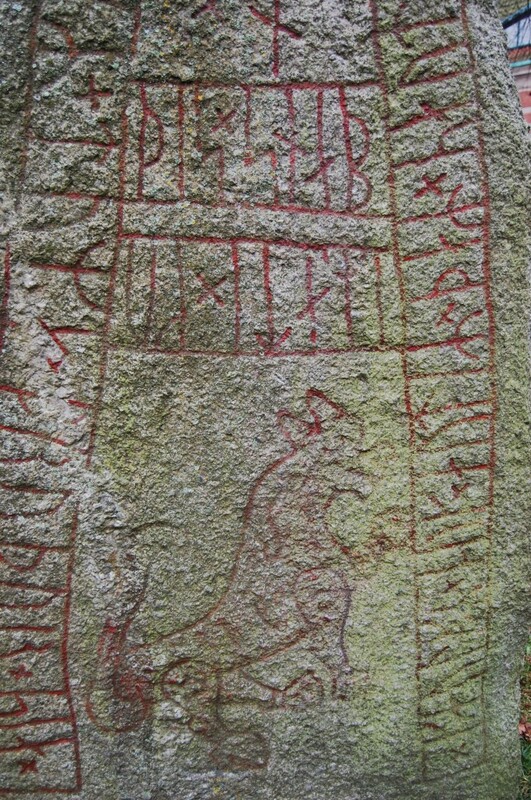 Finally found the Viking Rune Stones! 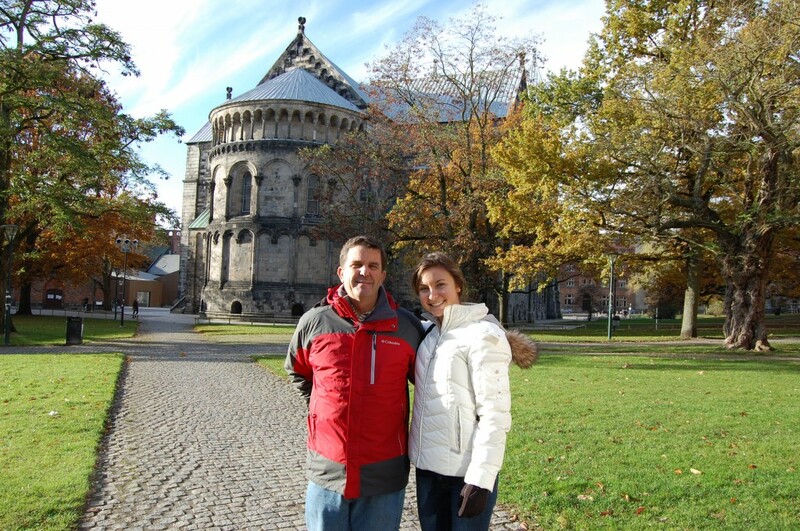 The final Danish experiences I wanted to share with my parents included my everyday Copenhagen “classroom” and DIS as well as the Viking Ship Museum in Roskilde. Again, finding decent, long-term parking in Copenhagen was a little challenging, but once we found a safe parking garage, I led Mom and Dad through the center of Copenhagen. We stopped by the main DIS building (where I often go for a cup of coffee or to check my mail), walked through the major shopping streets, and finally to Christiansborg Castle (where Parliament now sits). 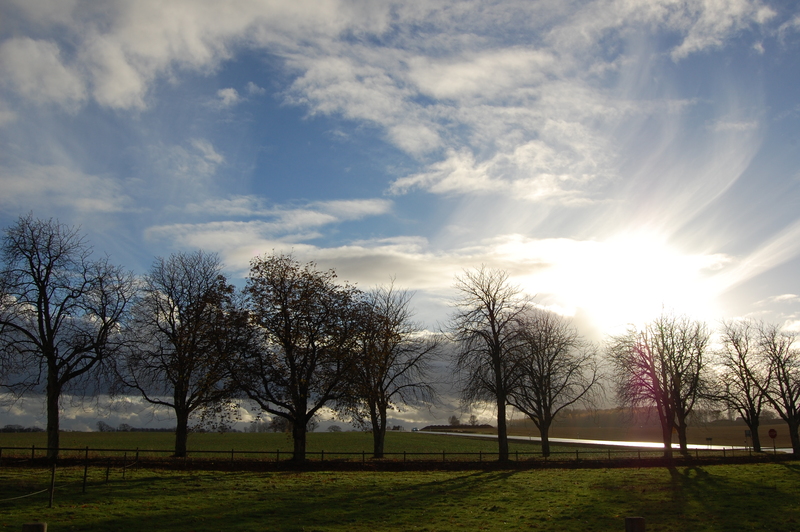 We tried to see the Royal Horses, but to our dismay, the stables and museum were not open for another half hour or so. We would have gone back to see them, but we were in a hurry to make it to the Viking Ship Museum (about an hour drive away) before that closed. 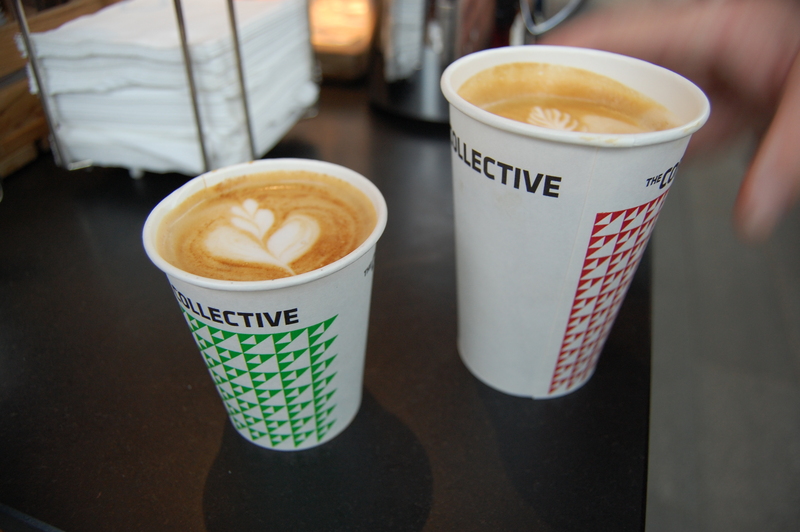 So instead, we stopped by the Glass Market and sipped on high quality cups of cappuccino and latte from Coffee Collective, which makes some of the best coffee and espresso around. Yummy yummy, Coffee Collective in my tummy! And when we did eventually make it to the Viking Ship museum, it WAS closed. We didn’t really plan on the traffic, so it took us longer to travel there than expected, but at least we were able to see the restoration part of the museum. A ship builder was using computer technology to map out a 3-dimensional drawing of an old barrel lid they had found. 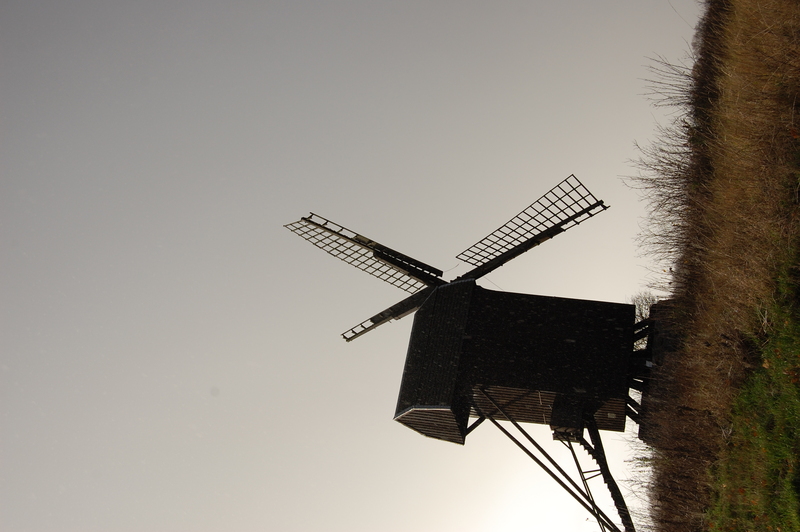 I definitely want to go back and tour this museum sometime before I leave Denmark. 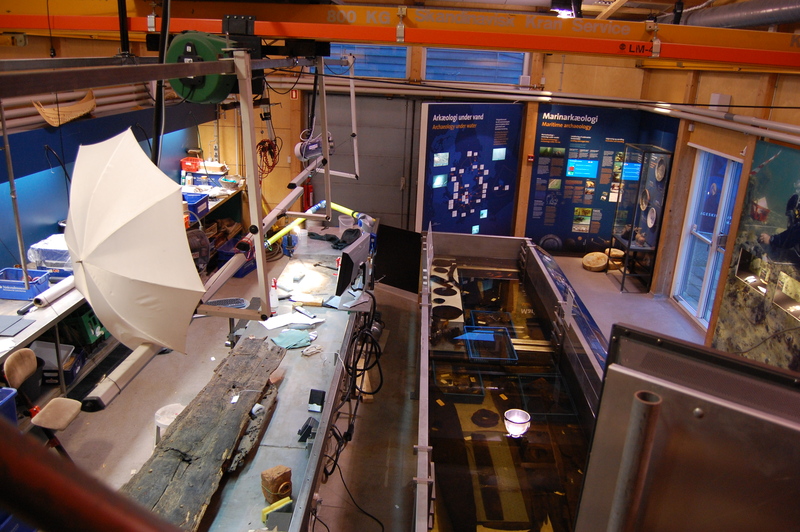 In the process of excavating to build the museum itself, they uncovered 5 different types of viking ships. And further, while excavating for an extension of the museum in the 90’s, they found an additional 9 viking ships, one of which was a 36-meter long war ship! Who would have thought such history could be right there under our noses? I mean, these ships were sunk in the year 1070! ‘Wow’ is the best way to put that. 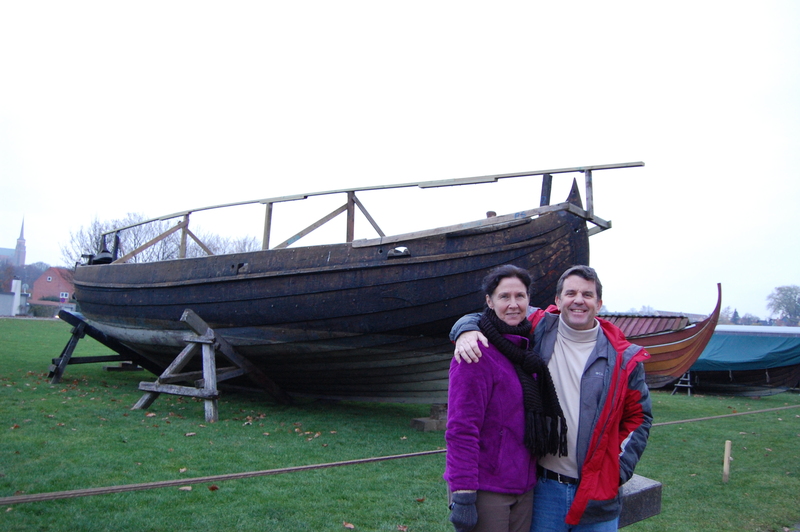 Mom and Dad with a replica viking ship — They actually sail these around the sound when the weather is nice! Wouldn’t that be awesome? Super unfortunate for me, Mom and Dad had to leave early the next day to return to Ireland for one last day of adventure. 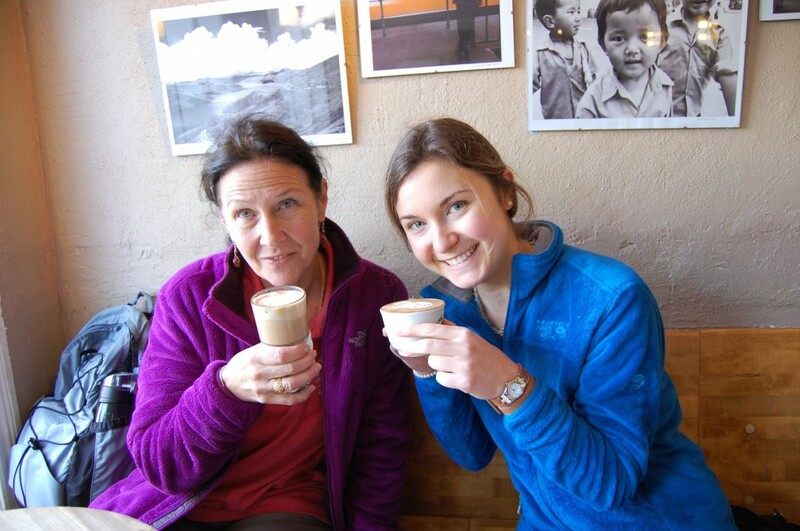 But I am so grateful and happy that they were able to visit! And I can’t believe that it will only be a month before I see them again back home in Tennessee! Of course, first, I’m expecting another VIV (Very Important Vistor). 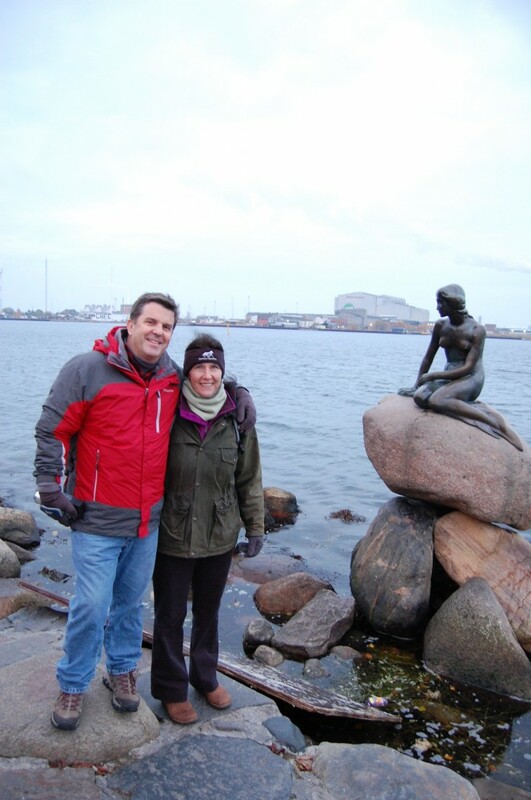 My very own sister, Dierdra, will also be traveling across the seas to experience Copenhagen with me…plus a little excursione a Italia. Stay tuned! Brian and I bumped into your dad at Ingles right before Thanksgiving and he told us about their trip to see you. 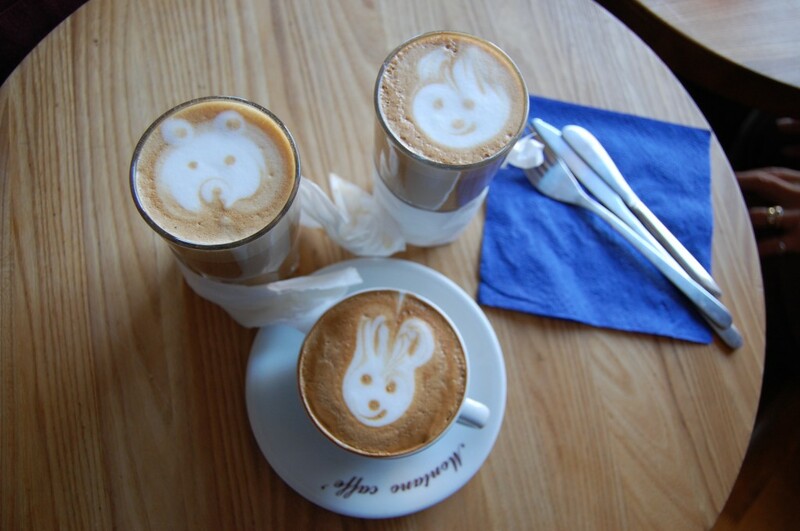 So I had to check out your blog and photos, just wonderful!! I look forward to your post when Dierdra visits you (Emily would love to hide in her luggage I’m sure!) Take care and God bless you all! 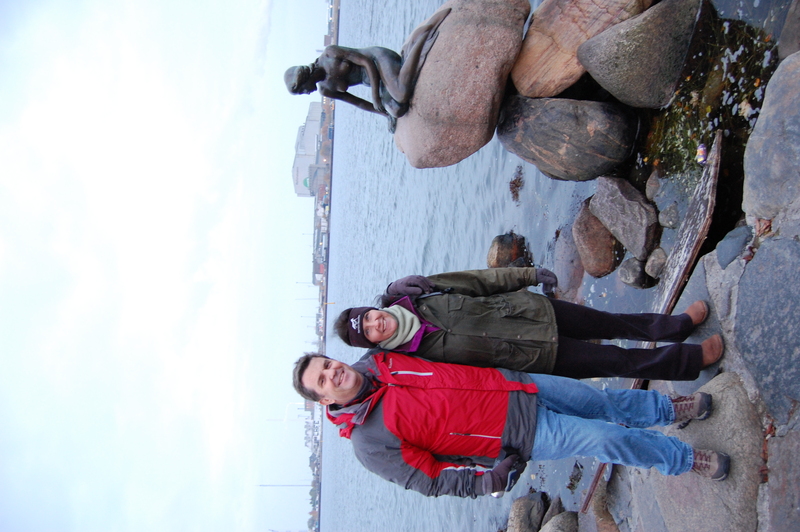 Joyce and I are happy to get a second look at Denmark and Sweden via your collection and your dad,s assorted pictures. Before you leave there i wanted to tell you what I recently heard. Perhaps in the late 1400’s there was a very inept and not too handsome king in Denmark. Like most royal unions, he was matched with a very young bride that he had never seen before. The lady was very unhappy even though her husband was the king. I don,t recall who he was, but somehow she became very happy in the company of a young man whom she saw regularly. I don’t recall how it all turned out, but supposedly there is a current movie being shown in Denmark called “A Royal Affair” which tells this love story of so long ago. Are you familiar with any of this.? I am so happy that you and Joyce are enjoying my stories and the pictures. Regarding your comment about the royal love affair in Danish history, I actually just watched the film “A Royal Affair” and find the matter intriguing. King Christian VII was often thought of as “crazy” and perhaps schizophrenic, but he married Princess Caroline Mathilda of Wales in 1766, which wasn’t the happiest of all marriages. King Christian often sought other women and treated Queen Caroline as if she was his mother. Queen Caroline was not happy at all. 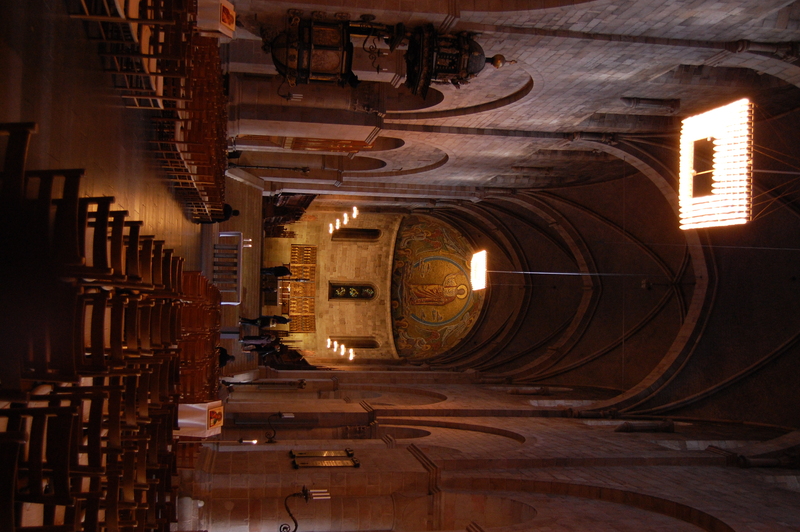 Eventually, she began seeing the King’s physician, Dr. Johann Struensee, who actually had a lot of political influence over King Christian as well. Until about 1772, Struensee used King Christian’s power to introduce progressive reforms in Denmark through new laws and policies (such as abolition of censorship in the press, abolition of torture, abolition of unfree labor, etc.). He was a follower of the Enlightenment, and the previous royal council was not happy with the changes he was making. Eventually, they conspired against Struensee in late 1771, leading to his arrest, along with the arrest of his accomplice, Enevold Brandt, and the Queen Caroline Matilda herself in early 1772. Struensee and Brandt were sentenced to death via execution, but Queen Caroline was exiled and deported to Celle in Germany. She wasn’t even allowed to take her children, Crown Prince Frederick and Princess Louise Auguste, with her. When Prince Frederik became King in the early 1800’s, however, he reinstated many of the ideals and reforms that Streunsee had initiated. ***And side note: The daughter, Louise Auguste, is thought to be the child of Dr. Struensee, not King Christian, which was a scandalous topic among the Danish population. 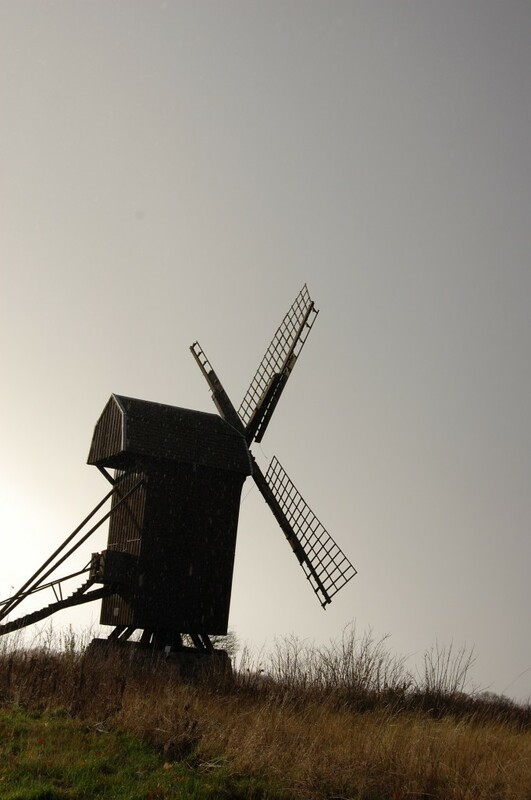 The movie was an amazing portrayal of this dramatic part of Denmark’s history. I truly recommend that you watch it. It’s all in Danish, but I watched it with English subtitles and it was still great! Thanks for straightening out my timeline. Dr. S sounds more like a politician than a physician. Thanks for confirming what I had heard was fact rather than fiction. We just reviewed your Thanksgiving narrative. You and your meal looked beautiful. Thanks again for sharing.